Oops, I didn’t mean to take two days off from blogging, but Thursday was the Wee Girl’s Christmas pageant, and last night the Wee Boy was sick. 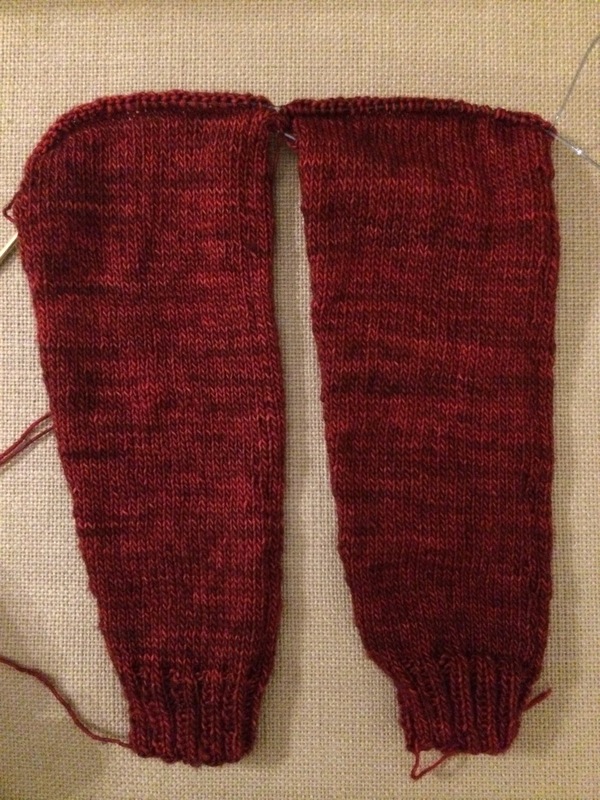 In knitting news, I have been knitting diligently on the sleeves for my Honeybee cardigan. They’re about 4 inches from reaching my underarms, and I’ll leave them a tad short because I believe they’ll grow some with blocking. Good progress! !